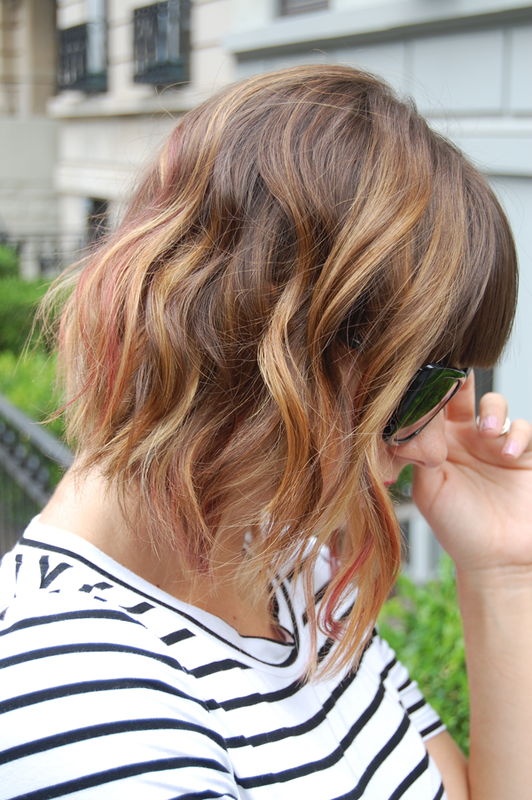 I love the length and the streaks of pink are so fun! I also like the striped dress you're wearing here, especially the cutout in the back. cool outfit!! Love your dress!! !